Just down the road from where I live something good has happened to a truly good person. 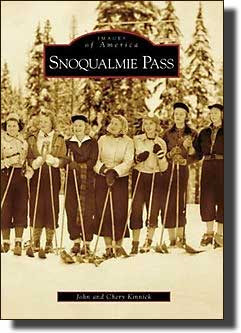 Chery Kinnick, Nordic Blue, has written and published, Snoqualmie Pass, by Acadian Publishing. Chery and I both attend the Nearby History Seminar for Researchers and Writers at the Museum of History and Industry in Seattle, and I can attest to her research skills and her wonderful writing ability. I am always in awe of the beautiful stories she has contributed to our seminar. I've ordered my copy of Snoqualmie Pass and I hope when it arrives Chery will autograph it for me. It's a beautiful reminder of the history just down the road from where I live.